On Saturdays we gather and I must admit it is not an easy task however many show up and are capable and able to show me and others why they are here. What can you say about talent it is something that is made before you think, it is something that is there before you knew it was and when it comes to the cast they show it every single time in rehearsal. The real fun begins after worse when everyone winds down loosens up and gets ready for whatever comes next. In my case many of my cast they don’t get a chance to see me just being me to them just having a moment to just be themselves. After the rehearsal to have the cast mates and myself went to one of my best friends house. 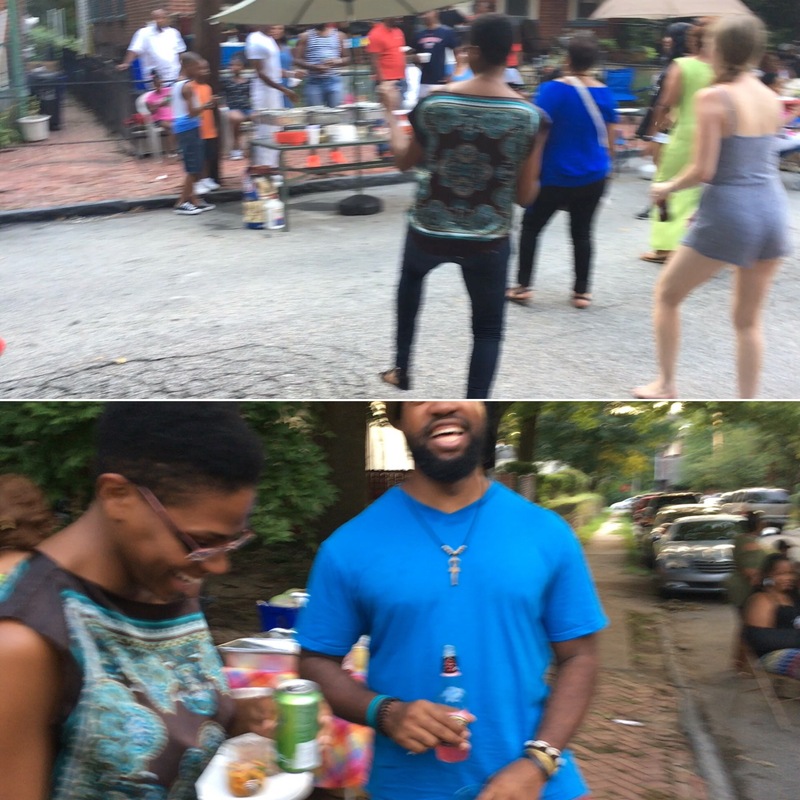 On the block they were having a block party filled with music people fun and laughter it was a joy just see and be a part of something different. We all have this separate world where art is art and hanging with friends is hanging with friends but to be honest with me it’s something that I like so to introduce cast mates and my friends to one another was like making a turkey sandwich they were the cheese the other the turkey and I was the bread bringing it all together. Yeah I know that’s kind of corny but hey I’m an artist I’m allowed to be corny. The best part of it is watching smiles watching laughter and watching people just enjoy themselves. 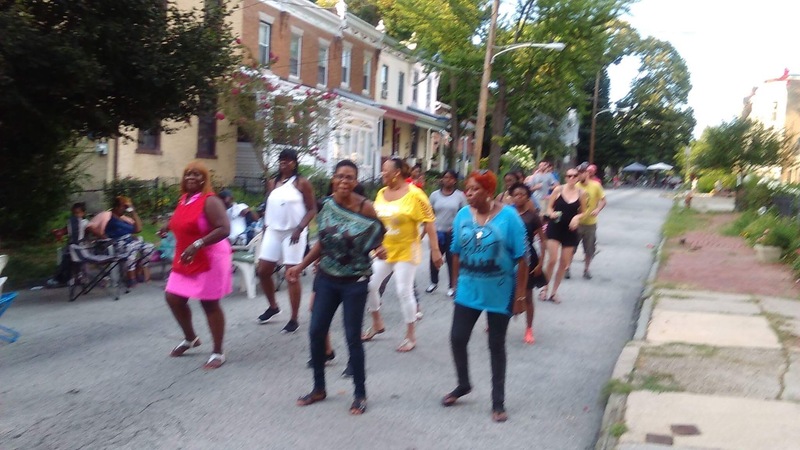 I don’t recall ever seeing Tasha dance but when she heard “electric slide” it was like a kid in a candy store she just jumped up hands raised out screaming oh and she just took to the streets and started asking people come on come on join in join in and they did. Ra and I were onlookers and for us it was about having a good glass of sangria and taking in the music. When the music was over Tasha walked off, she came over to Ra and myself and with a big smile she just said thank you. We all huged we all laughed these are the moments that I look forward to these are the things that I like to see in these actors joy excitement fun life outsideof acting and just being who they are pure with no scripts.